I’ve always been fascinated by insects’ eyes because they contain such a large amount of fine detail and texture. What appear as tiny black specks to the naked eye are in fact immaculate geometric structures. Because of their reflective nature, the eyes are rather difficult to light at extremely high magnifications. For the image above, I wrapped a tissue around the lens and the subject then positioned the flash an inch or so above the tissue. 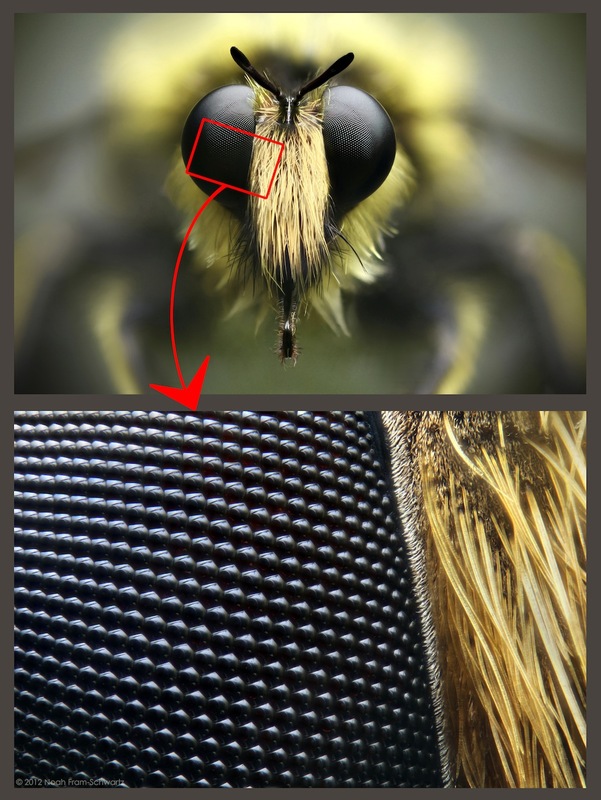 Here’s a robber fly and a closeup look at its eye. 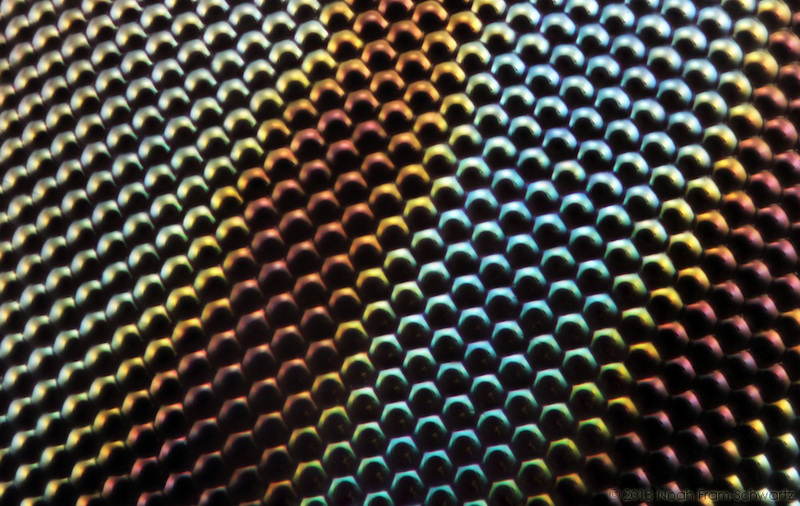 Apparently, insects with compound eyes see the world in a way that’s comparable to looking through a kaleidoscope. 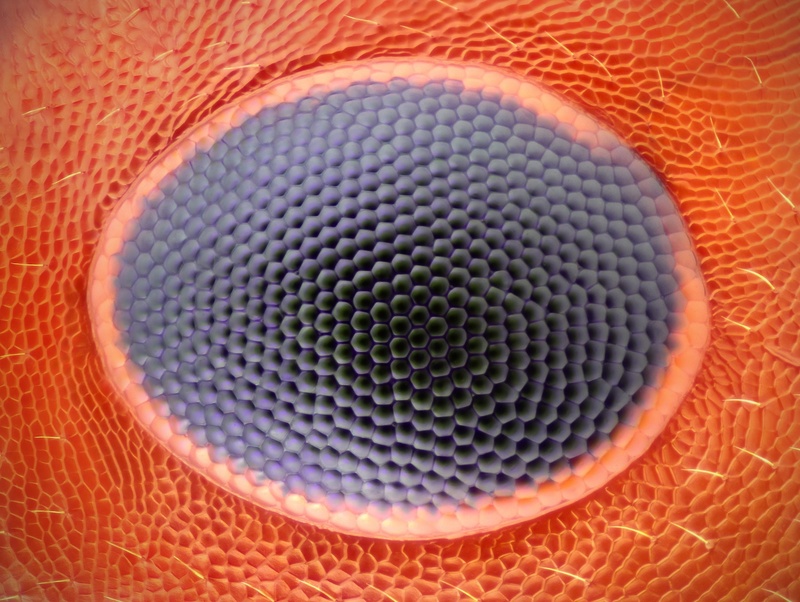 Finally, here’s a 50x magnification shot of a fly’s eye. Each of the hexagonal facets (called ommatidia) is a fraction of the width of a human hair. If you’d like to see more of my extra high-mag photos, please visit the “Extreme Magnification” gallery on my website. This entry was posted in Uncategorized and tagged 06831, ant eye, eye, focus stacking, high magnification, insect eye, insect eyes, ommatidia, robber fly. Bookmark the permalink.